MIRACLE pastor Paul Sanyangore says it is his wish to re-do the extraordinary miracles he has done before but only if God allows. The man of cloth has done a number of miracles that have court controversy among them walking on water and resurrecting the dead. Sanyangore says he wishes to go to the mortuary to raise the dead, visit the hospitals to heal all the sick people but if God does not allow it will not be possible. 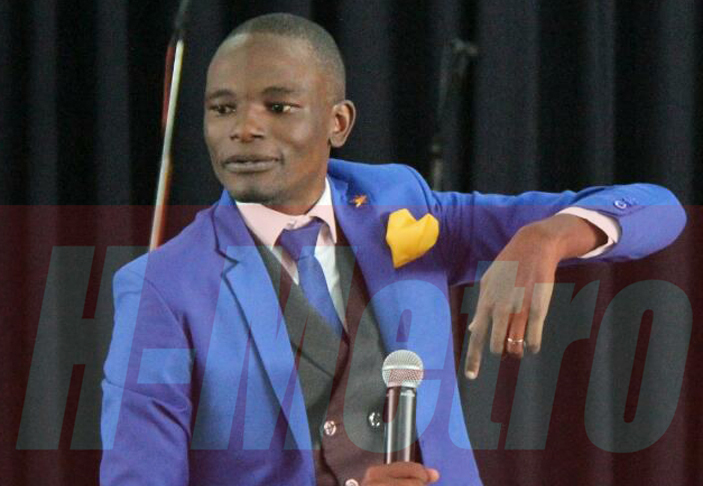 Speaking ahead of his scheduled miracle night service slated for this Friday at Mbare Netball Complex, the preacher said he gets several calls and questions from people to publicly perform the miracles. â€œEver since the pool incident I wish I could do it again. Every now and again I go to the pool to try and do it again, but I have noticed that it is not my will but the will of the one who sent me,â€ he said. The swimming pool which the preacher allegedly walked has of late become a hit with many people among them prominent figures going there for healing. â€œSeveral people said go to Lake Chivero, go to Kariba dam but that is not how God functions. Mwari haaite zvekuonererwa. Remember the incident of Jesus and the Devil, hanzi chinja matombo aite chingwa. â€œThat is not how the power of the Lord operates. I may want to do that but if God does not allow, I will embarrass and humiliate myself. Remember an incident Mbare when some prophet tried to resurrect a dead woman and failed? She was bashed. Zvinhu hazviitwe panyama,â€ he said. The preacher insisted all things are possible if they are done in spirit. â€œWith the holy spirit, everything is possible. Several people have questioned the miracles that I have performed, I cannot blame them, even during the time of Jesus, some even dismissed him,â€ he said. The preacherâ€™s church Victory World International will be holding the miracle night service with a number of guests expected. â€œThis Friday, May 27 we will be at the Mbare Netball Complex for our Miracle Night 2. This is not our brain child but a directive from the one who sent me. Come and witness the power of God in action, the sick will be healed, the afflicted will be delivered. We have a number of activities lined up for the day,â€ he said.